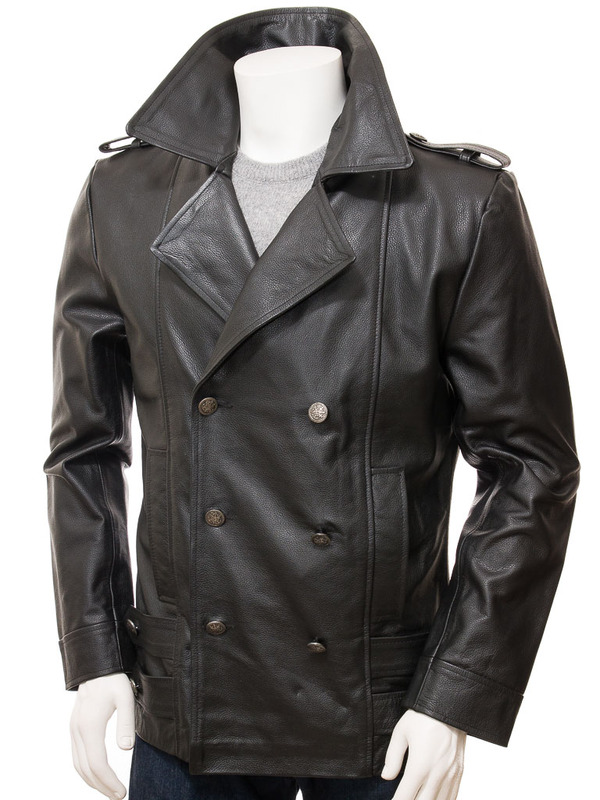 A truly iconic black leather pea coat. 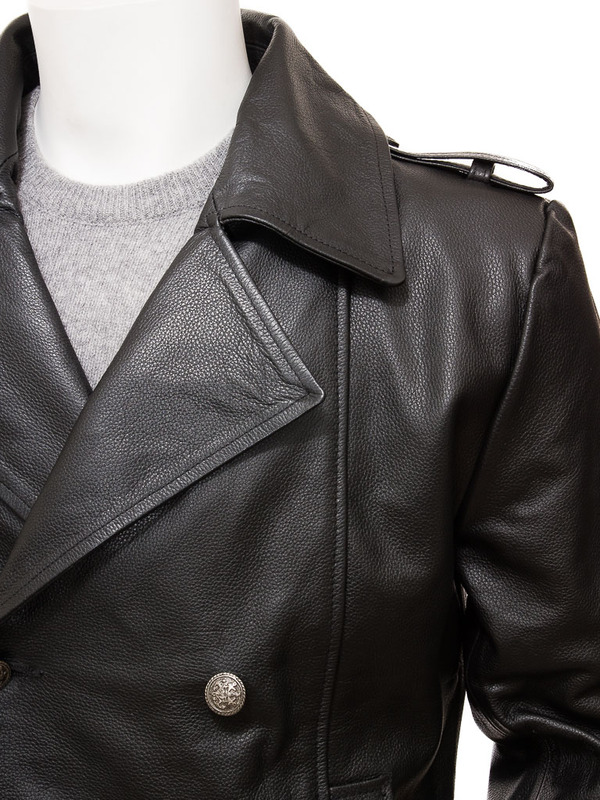 Crafted from full grain cow hide, this jacket needs no introduction. The style is know for being double breasted with nautical themed buttons, a wide notched lapel, often worn up, and epaulettes on the shoulder. 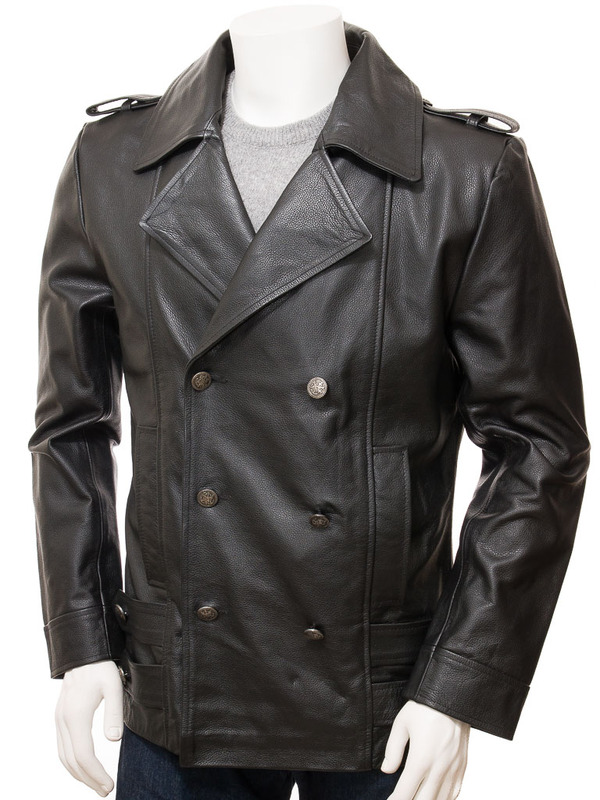 This version of the coat has vertical inset pockets at the waist and button straps near the hem. The nautical buttons are also found at the cuffs. 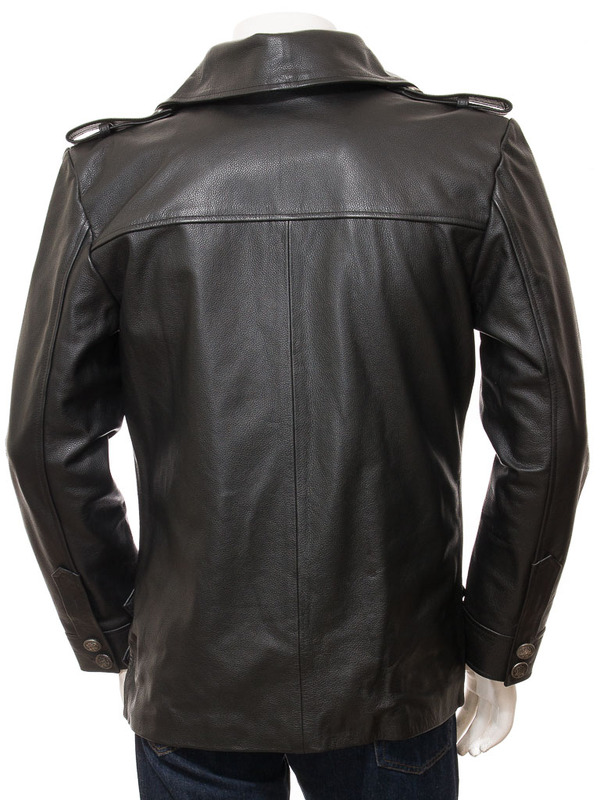 Inside, the jacket is fully satin lined and includes two more leather trimmed pockets, one of which is zipped.